Management Team Our management team consists of a Hispanic Marketing expert, a telecommunications veteran, a 15-year direct response veteran, and a worked-his-way-to-the-top sales pro. Craig Handley is an entrepreneur, speaker, musician, and philanthropist. He believes in “living life like an extreme sport.” As such, he has cage dived with great white sharks and rappelled down Table Mountain in South Africa, driven the Baja 500 trail in Mexico, hiked through the jungles of Malaysia, and in Iceland he snowmobiled across a live volcano, swam in the Blue Lagoon, and dove in the famed Silfra Fissure which is the only dive site in the world where your dive is in the crack between two continental plates. He is the 85th civilian ever to jump out of a plane from over 32,000 feet... He is undefeated in his three trips to Necker Island when donning the Sumo Suit. He's met Ringo Starr and bumped into Paul McCartney before security escorted him back to his table while trying to get a selfie, and,in Calgary, he had a scarf blessed while meeting the Dalai Lama (which he has since misplaced). An expert in Hispanic Marketing, Direct Response Marketing, and Sales and Brand expansion, Handley is the CEO and founder of the hugely successful “Listen Up Espanol,” which was named #1 in Business Products and Service (#27 overall) on Inc. Magazine’s 500/5000 list. Handley’s businesses employ over 1,000 employees and have cumulatively done over 500 million in sales within the last five years to Hispanics in the USA. He started his professional career as a paperboy, winning a contest to go to Disney for most new subscribers at the age of 13, he followed up with 3 years of door-to-door insurance sales, where he again won the companies highest award 8 times. He worked in a call center in telephone sales and again was one of 3 employees (Out of 950) selling over a million dollars a year in product. A respected advisor for hundreds of brands, products, and services in almost every category, he has also contributed articles and been interviewed for leading marketing and business magazines, blogs and podcasts and he's spoken at conferences, company retreats, seminars, and private masterminds. He served five years in the U.S. Army infantry during the first Iraqi war, leaving with an honorable discharge. Handley studied voice and piano in college. He has written and produced hundreds of songs, from rap to pop to ballads to humorous parodies, and even opened for Coolio and hosted the Adult Entertainment Awards. In 2010 he turned down a record deal because it would have been “a pay cut” from his profitable businesses - and the required tour schedule didn’t leave him enough time for his kids. A devoted family man, he danced his way into his wife's heart with his "running man" and his practiced rendition of "the worm" and is also the father of five and a boy named Josh. He believes that with faith and a little courage, anything is possible. Tony is an entrepreneur at heart who loves to look for problems, then build out winning solutions and successful companies around them. After cutting his teeth in corporate sales and management with MCI Telecommunications, he has been a driving force in multiple direct response and online ventures over the past decade. Most recently, he oversaw the expansion of ListenTrust, his hugely successful nearshore English and Spanish call center serving the U.S. Hispanic market – now at 500 seats and 800+ agents. As President and Founding Partner of ListenTrust, Tony focuses on new business development and strategic alliances. He plays a similar role for ListenTrust's sister enterprise, Revenue Enhancement Consultants, a company dedicated to helping merchants, service providers, and affiliates boost sales and revenue, both online and offline. A longstanding member of the Electronic Retailers Association, Tony holds a B.S. in Business Administration/Marketing from the University of Northern Colorado. He resides in Maine with his wife and two children, with whom he shares his passions for photography, snowboarding, and mountain- and road-biking. Tom originally joined the ListenTrust team in 2011 and is currently head of the growth elements of the business (Sales, Marketing and Client Services), and is also part of the executive leadership team. He originally started his career with a multi-billion dollar distribution services company and has since applied his expertise to help smaller and start-up companies scale their growth from minimal annual revenue into the $50MM to $80MM+ realm, with extensive experience in operations, sales, marketing, branding/re-branding and business strategy. Tom has close to 20 years experience in the Direct Response Television (DRTV) space and is widely recognized as a trusted expert in support services for direct-to-consumer marketers, and has been instrumental in helping marketers bridge the understanding gap from DRTV to pure-play online advertising and vice versa. He is also known as a highly experienced advisor in the Spanish language-US Hispanic market, helping general market advertisers better understand and leverage the revenue potential of this market. Tom was born and raised in California and currently splits his time between Los Angeles and Mammoth Lakes, CA. He is a competitive cyclist and hockey player and also enjoys alpine and cross country skiing, ocean kayaking and generally being active outside. He is a father of four adult children and has two rescue dogs as well that provide regular comedy relief. He also enjoys taking in live music of all types whenever possible in his free time. 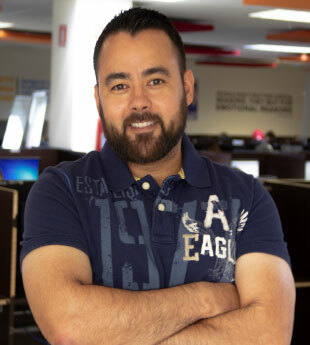 Abraham Rodríguez - “Abe” as his friends call him was the first employee of Listen Trust, his passion and love for the company has led him through 12 years of hard work and experience. He has been one of the main bases for the success of the company, starting with 10 employees under his wing, leading with example he was able to develop his employees into leaders themselves, whom have also helped in the company’s growth. Abe born and raised in the Sonoran Desert started working in the call center business in 2003 as an agent. His discipline and perseverance later brought him to become one of our most respected role models at Listen Trust. His knowledge and cleverness create a unique and innovative way of performing the tasks needed to get the job done as well as his studies on systems engineering and different certifications take him and his team to exceed the expectations every day. Abe is also the one behind the scenes in our annual Telethons, assuring that everything is done correctly and that all the departments involved have the information and tools they need to make it a successful event. Abe has a loving wife Xareny, who is dedicated to their two children Anna Ximena and Carlos Gael. On his free time, he loves to travel with his family and devote himself to his children. He is one of the most admired leaders in the company, for his selflessness kindness and respect towards others. He is a key factor in the company and an all-around great pleasant coworker. Daniel Castilla has been a member of the Listen Trust family for over eleven years. Gaining experience in different departments, starting with the company as a sales agent, he soon became a supervisor, helping his team develop their abilities as sales representatives. Exceeding the abilities expected he was then promoted to floor manager, and soon after to Sales Operations Director. It was during this time that he had the ingenious idea to create a successful formula that would help his team achieve every sale. Focusing on helping to make the company grow from a few agents to more than 800. Daniel helped develop the first Hispanic sales call center in Mexico with clients from the USA. He and his team have won many awards in the call center world, including best operations director, best manager, and best agent; he has won a Stevie and an IMT award. One of the fuels that keep Daniel going in the company is the adrenaline and new challenges that he faces every day, and how he uses his creativity to solve each new obstacle. He has been happily married for three years, him and his wife own two dogs which he is very devoted to. On his free time he enjoys DIY, he is very creative and helps with projects around his house. Yet what fulfills him the most is traveling. He has traveled all over the Mexican republic, USA, and many parts of Asia. He is a fundamental member of Listen Trust and a well-loved leader. Brooke is a leader with a passion for building strong client relationships and collaborating with functional business partners, allowing clients to meet their program goals and objectives. She has spent the past several years working with Fortune 500 clients to help solve complex technical problems and to oversee successful implementation of improved client business processes within ReedGroup’s contact center. She also has a strong background in building and fostering teams, program management, product software development and accounting. Originally from New Jersey, Brooke fell in love with Colorado after attending the University of Colorado-Boulder and has lived in Colorado ever since. When Brooke is not at work, she enjoys spending time with her husband Matt, two kids Colton (4) and Dane (1) and dog Nix. She also has a passion for staying active and enjoying all that the wonderful state of Colorado has to offer. Behind every extraordinary vision for the future of a company is a leader with the know-how to prioritize resources and make decisions that are wise and outstanding. Sally Chavez is our Director of Quality Assurance and Training at Listen Trust. She has a successful track record for leading QA and Training Departments transformations, diving business growth and creating high- impact teams. Throughout her career as a strong professional with a degree on International Business from Universidad Kino, Sally has been an exceptional leader and vital element for operations, culture, recruitment, training and QA departments. Her core competencies include working collaboratively with the talented people at Listen Trust to solve problems always aiming towards a solution using data, logic and judgement to maintain high quality standards when it comes to innovation and development. Sally a jack of all trades, is a well known athlete with a long curriculum in sports, that has led her to travel all over the Mexican Republic and many more countries around the globe. A strong female role model, who belonged to the national field hockey team representing her country. She currently resides in Hermosillo along with her caring husband José Antonio, whom she has been married to for 3 years. As a couple they enjoy traveling to different beaches together, discovering new gastronomic. Jason Ingram has been in the call center industry for over 25 years. He has done every job in the operations area from call center agent, quality assurance, trainer and supervisor. He started right out of high school while attending the University of Nebraska/Omaha working on his Business Management degree. During his tenure with his first call center company he developed a niche to improve performance where others thought the ceiling had been met. One challenge after another led to the need to grow and manage the workforce into multiple centers for this company. Jason was challenged to build a workforce management and human resource team to help with this growth. After building the Workforce Group, Jason decided that he needed another challenge and moved from Workforce Management to Client Services with another call center. The move was a good one. He took his operational background and used it to develop some amazing successful Direct response campaigns. Some would say he has a golden touch when given the opportunity to test out different ways to present offers. Jason has managed some very high profile Direct Response companies who at times would just say, “Please help us find a way to make this work.” He will fool you with his calm soothing voice because there is action behind those words and the magic starts as soon as a challenge is presented to him. Jason started as an Account Manager and quickly moved to Program Manager and eventually he was one of the three Client Services Managers who helped develop the Account Managers. Jason did all of this while raising his family. He has two boys who gave him the motivation to do things right. His older son is an aspiring comic who has performed at multiple comedy clubs and casinos. He has the wit of his dad and the good looks from his Mom. His younger son played baseball into college but has now focused building his future as a business owner of his own. Both boys grew up running around in the call centers when Jason was a supervisor and even as an Account Manager. Jason did sacrifice some family time but always found a way to bring them into the DR world. Matter of fact, his boys made their own infomercial selling anything from random Christmas ornaments to a hockey stick you could eat cereal with and all while just wanting to do what their dad does for a living. Jason started at Listen Trust as an Account Executive in December of 2018. We could not be happier that he joined our team. His knowledge from the past 25 years definitely adds value and vision to what Listen Trust already offers our clients. Watch for Jason to throw you a funny joke, a great idea, sing you a song or just a nice smile as he holds all the core values we at Listen Trust follow. His assistant may say hi when on the phone. She is an 8 year old Pitbull/Lab who sits on the chair next to him every day. You may also hear her snoring as she is getting a little older. Lorenzo Rodriguez has been in call center industry for over 20 years and has worked multiple positions throughout his career. He is originally from Los Angeles, CA where he started as an Outbound Sales Agent at a previous employer and moved soon thereafter to Tucson, Arizona where he currently resides. He has experience working as a Sales Agent, Quality Assurance/Trainer, QA/Training Manager, Operations Manager, Vendor Operations Manager, Project Manager, and now an Account Executive with ListenTrust. He has been with ListenTrust for over 5 years. 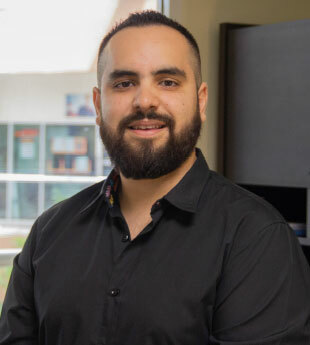 The combination of call center and account management experience that Lorenzo brings to the organization is very beneficial as he understands the ever-changing dynamic of the industry. Lorenzo is first generation born in the United States with both of his parents originally from small towns or “pueblos” within the state of Sonora, Mexico. He has a lot of family in Hermosillo where our ListenTrust call center is located which makes his onsite visits that much more pleasurable for him because of his understanding of the culture. Lorenzo has two adult children who he enjoys going on hikes with. He also enjoys running which he feels is a great stress reliever and the best way to maintain the active lifestyle he enjoys. Dedication, integrity and most importantly the ability to influence others, Isaac a native from Hermosillo, has been with our company since Sept of 2006. Starting as the first sales agent in the evening shift. Isaac has been in several departments. (Sales, customer service, and QA) exceeding in every one of them. Demonstrating integrity, responsibility, discipline, and his ability to work with people. Isaac got his Degree on Business Administration graduate all while working to help the company grow. As a sales Director Isaac helped implement a creative method to motivate agents to want to sell more, called ASR (agent sales rating) - a total success. Due to his sharp skills he soon thereafter became a Customer Service Director, which he has been for the last three years. Managing more than 10 campaigns, all with different requirements surpassing our client’s expectations. Isaac is a animal lover, he owns two Dobermans; Camus and Diva. On his free time, he enjoys watching and playing sports and e-sports, specially Soccer. His team most recently won our Listen Trusts soccer league. He is an active traveler, he has traveled to several countries around the globe, and is hoping to keep traveling a lot more in the future. Without Isaacs humble spirit, our company would not be the same. Missy has been in the call center industry for 15+ years and has had the enjoyment of holding all positions in a call center. Her journey started as a customer service and sales agent for direct response, throughout her 15 years, she is most proud of her sales training abilities and how that has had an impact in helping her clients go from a start-ups to their very own service center. She has traveled upon request to train and teach those centers how to run and manage a call center from all aspects of operations, compensation plans, sales, customer service and other various aspects unique to the needs of the client. 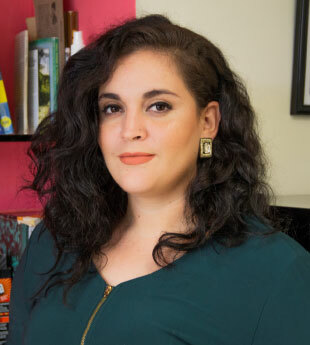 Missy has now moved to Project Management which allows her recreate all those prior roles in one and work closely with her team in the US and MX. Missy is Maine native happily married to her husband Joel who is an NDT inspector at Pratt and Whitney. Together they have two sons; Royce and Rocklen. Missy spends most of her free time watching her sons play football, ice hockey and Lacrosse. Missy is also an avid pool player and has made the trip to play in the APA National champion ship in 2005,2006 and 2016. Missy also volunteers for the youth football association as the treasurer and many miscellaneous school activities through the school year. Juan Carlos who goes by “J.C.” is a pioneer in the contact center industry in Mexico. A native business leader full of passion, strength of will and knowledge to overcome any challenge. Back in 2007, he started as an overnight sales agent and moved up through the ranks to become Sales Director within the first year. From there on JC worked with a lot of talented people within the company whom together managed to take Listen Trust to the next level, growing exponentially the company from just a few agents to over 800. After 5 years of managing the sales force, JC became the company’s professional Service Director which was in its initial stages, a position the he has been able to mature within the last years. Something that characterizes JC is his ability to lead teams to their maximal potential, and here at Listen Trust this has not been an exception. He and his team have been responsible for successfully launching + 500 sales campaigns, Customer Service support, Outbound Sales, Bilingual Projects, Non-Profit Fund-Raising, other BPO projects and Events Management. JC has now built a team with his experience capable of making any project take off well and create the right conditions for their success. JC a father of two who is happily married to his beautiful wife Flor. Soledad Cota has been the smile and welcoming feeling that represents the company since the early beginnings of Listen Trust. Her role in our company has matured from HR Assistant back in 2006 to now being in change of our facilities 100%, as a Facilities and Purchasing Manager. Her activities in the company include: Tech Maintenance, security and cleaning staff, budget planning and control, coordination of internal events, strategic relationship with suppliers and business partners. Soledad is in love with her family which is made up of her daughter Paula and her husband Angel. She has been practicing yoga for 10 years and along the way she became a certified yoga instructor. 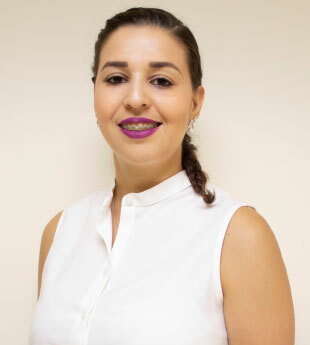 Edith is a professional who has most recently join our team bringing 6 years of expertise to our recruiting department. Her studies and commitment have helped her become an expert in hiring qualified employees to meet our company's current and future needs, as well as recruitment team building. So far recruiting Spanish, English and French staff in the contact center industry in Mexico. Edith's excellent analytical and organizational skills are innovating the way we recruit in the company. Over the years she has been dedicated to her personal and professional life, enjoying her free time with family and friends going to the movies and traveling. Alejandro Joined Listen Trust back in 2009, his people skills and constant improvement plans in the company led him to become a strong figure in the company. He has been characterized for developing new strategies and leading edge in his department. He is a dog lover and is very compassionate towards all living animals. His favorite past time is working on different projects around his house. He is happily married and has two children, who look up to him. Keren is the corporate culture and communications manager at Listen Trust. She joined the company in October of 2016. Within the first two months of 2017 she became the Dream Coach for our Dream Trust program, guiding employees in the path towards achieving their dreams and goals to find their true happiness. This year her role in the company evolved to a corporate culture and communications manager where her passion for helping all Listen trust employees find their passions and develop their talents has developed an amazing culture at Listen Trust. To this day a year after, she has accomplished 140 dreams with the help of the Dream Trust program. Keren has an extensive background in teaching, as an English Educator. Skilled in Learning process, Coaching, Linguistics, and Neurolinguistics. When we think of Keren the words Organized, Natural Leadership and Adaptability come to mind, and not to mention great communication skills. Her other areas of expertise also include: Customer Service, Sales, Human Resources, Logistics, Academic coordination, teaching and learning strategies, processes and procedures, requirements of assigned programs and initiatives, professional development, reports for programs and initiatives, work with teams establishing realistic and attainable goals. On her free time Keren most loves going on dates with her loving husband and trying out new cuisines. Together they have two playful children, Evan and Enora who fill their home with happiness, along with the families two dogs.